Remove the front seat cushion inner trim panel. 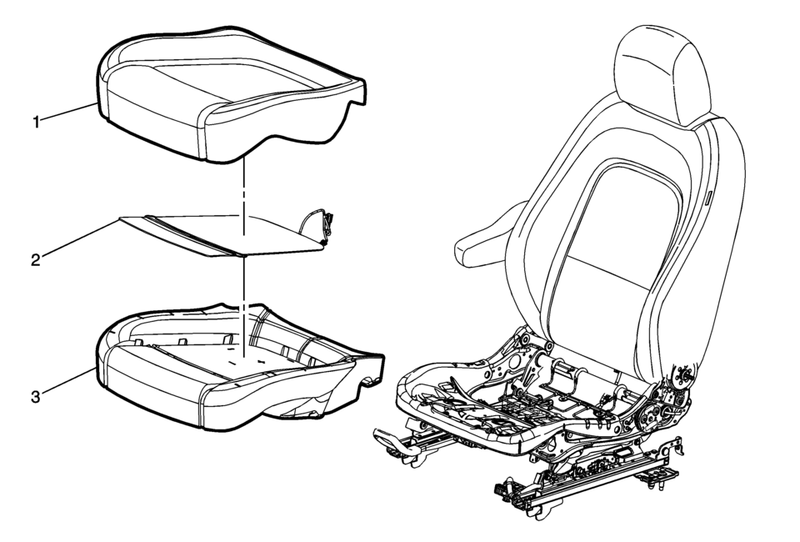 Refer to Front Seat Cushion Inner Trim Panel Replacement. Disengage the J-channel and hog ring retainers from the seat cushion frame. Disconnect the electrical connectors that attach to the seat cushion, if equipped. Remove the seat cushion cover and pad from the seat cushion frame as an assembly. Separate the seat cushion from the seat cushion pad by pulling the cover away from the pad. The seat belt presence sensor and heat mat, if equipped are integral parts of the seat cushion pad.